Hello everyone, my name is Jennifer Wright. I am currently working as a Professional Gardener’s Guild (PGG) trainee here at Waddesdon Manor. I moved down from Edinburgh at the end of last August, and so far, I am having a blast! The PGG takes on new gardening trainees every year and gives them the opportunity to work in world class gardens for three years. Trainees come from all walks of life as the PGG are looking for enthusiastic and hardworking people with a passion for horticulture. Here I am sitting on one of our mowers which we have nicknamed ‘Nigel’. Before I came to Waddesdon, I completed a two-year apprenticeship at the Royal Botanic Garden Edinburgh, and at the same time completed my SVQ level 3, Scottish Vocational Qualification, in Parks, Gardens and Greenspaces. While I was working in Edinburgh I had the chance to work with a knowledgeable team who were keen to impart their know-how. I had loads of fun and while working with them, I came to realise that I wanted to follow a career outdoors. I can’t imagine doing anything else! Horticulture is just the right amount of science, exercise and art. Recently, I won the Horticulture Runner Up in the LANTRA Learner of the Year Awards in Scotland. As part of this, I am now a LANTRA industry champion, and so am blogging about my experiences in each of the gardens I will work in over the next couple of years. I hope that this may encourage young people to enter Horticulture, and if I can help to convince at least one young person to have an outdoors career – I will consider my job done. Follow the link to my blog at the end of this article. This week I have been working with the turf team and we have been very busy. Even with the delayed start to the season, the grass has romped away with recent warm weather. 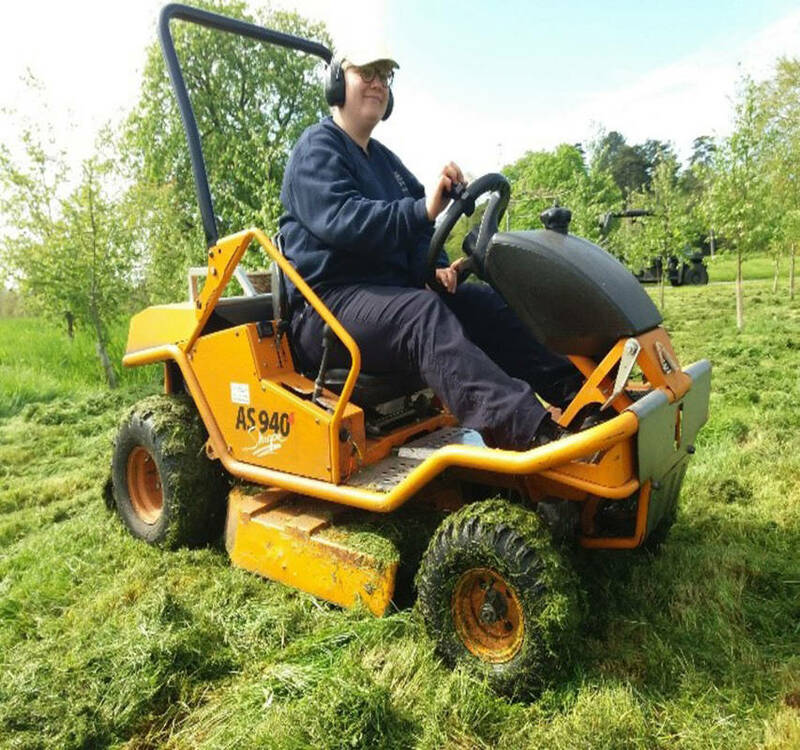 Our grass cutting routines range from striping the formal lawns, to maintaining large areas of grass around the grounds. As you can imagine, there is a lot of ground to cover – but it is terrific fun and very messy. As part of my year here I am working with Anna, another PGG trainee, to plan and maintain an annual border in the Dairy gardens. 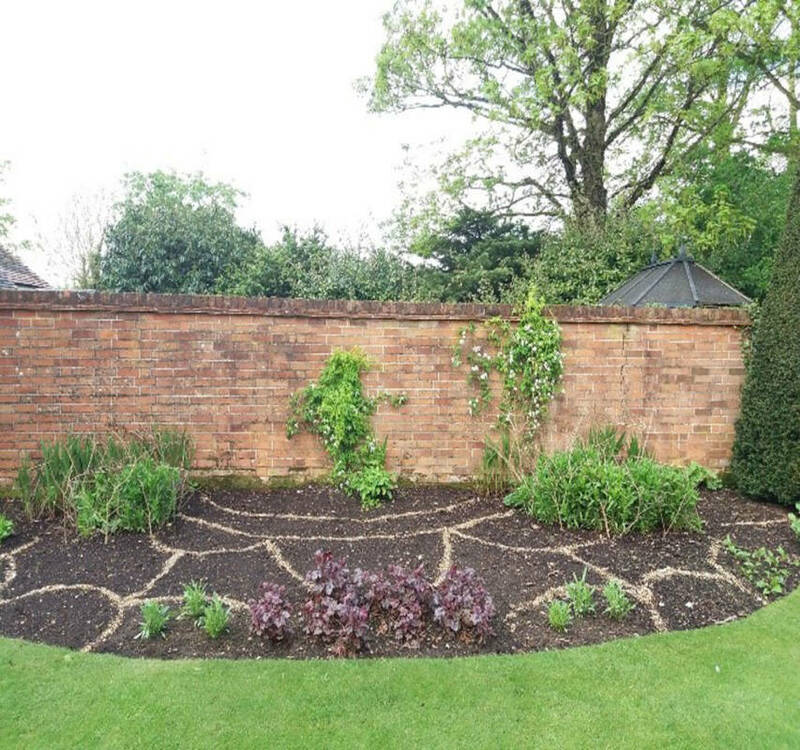 We were tasked with designing a plan for the area, sowing seed and bringing on plants, planting and looking after the border until the summer ends. So far we have sown all the seed for this year, including yellow nasturtiums and orange cosmos, which are well on their way to being planted at the end of May. Last week we lined out the border so that everything is ready for the plants to go in. This is the annual border we are working on in the dairy. 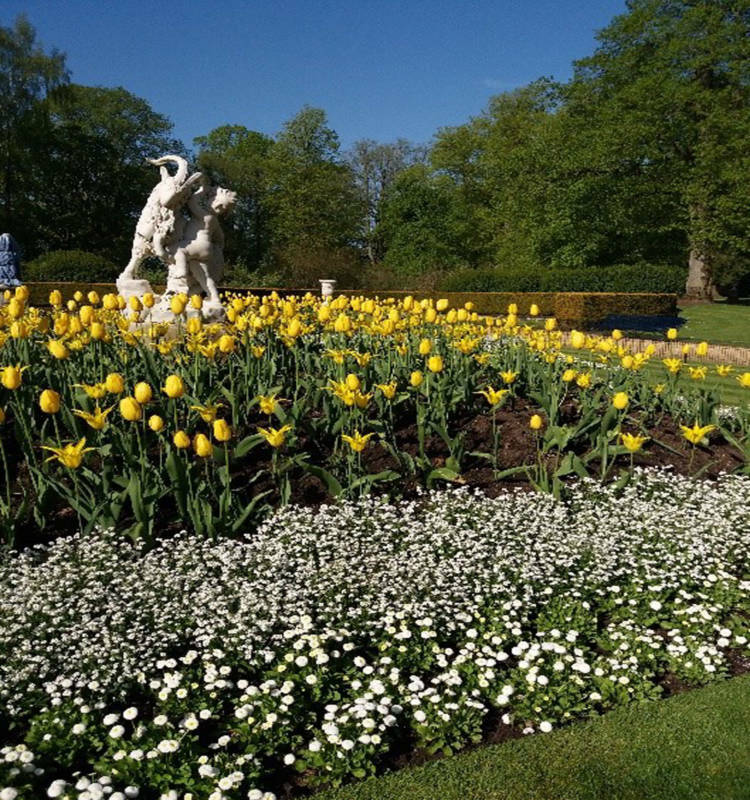 As the spring bedding was beginning to look tired and the polyanthus had been suffering from a specific type of disease, the gardens team will be taking out these plants in the Parterre and the Aviary, then digging over the borders so that the summer bedding will go in later on in June. The 3-D birds (a Waddesdon speciality) will be back too, and are already being prepared. The warm weather has really encouraged the tulips to show off spectacularly in the Aviary. 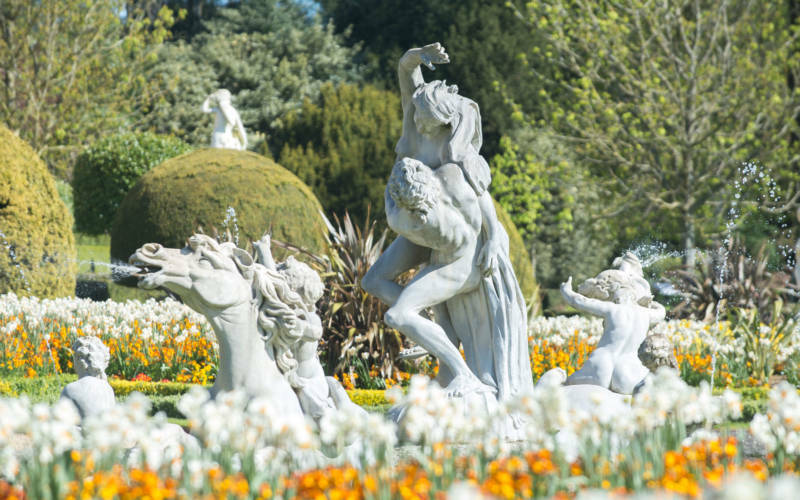 What I have enjoyed most about being here at Waddesdon is the history behind the Manor and the gardens. 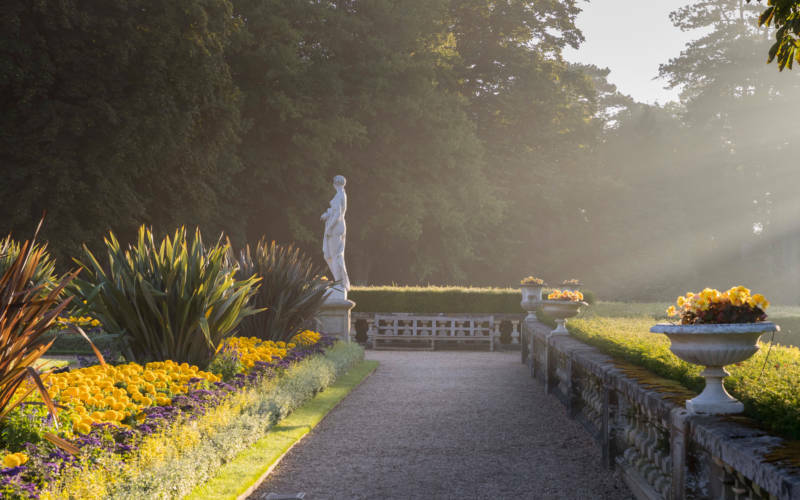 The gardens team work to the best of their ability to create wonderful gardens for the visitors to enjoy, whilst remaining sympathetic to the original planting. One of my aims while I am here is to learn the best way to manage historically important sites in a way that is beneficial to everyone, all the while giving visitors the best day out possible. Despite moving so far away from home to come here, I have truly loved working with the Waddesdon team. One of the things I’ve most enjoyed here has been learning to use all the machinery Waddesdon gardens team has – which I’ve done with varying degrees of success. I look forward to many new experiences in the future… and many more hot days. 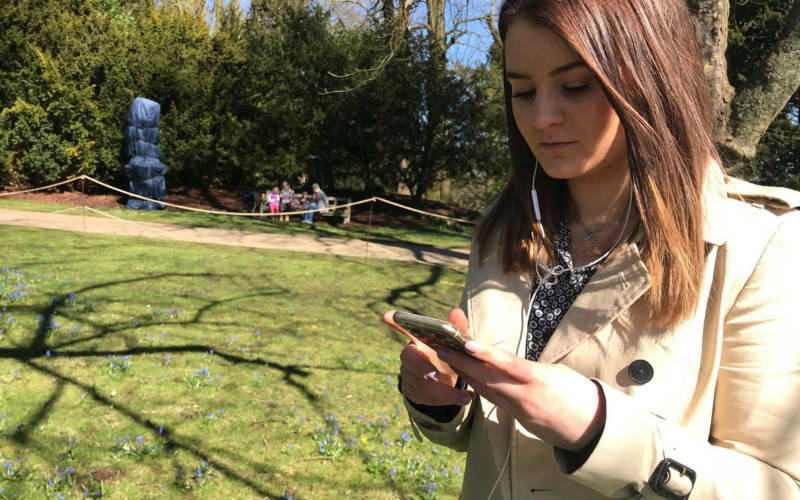 Whether visiting in person or remotely you can now take an online walk around Waddesdon with our interactive tremendous tree trail.